CAPE CANAVERAL, Florida -- There will be a Full Moon on the night of September 8, 2014 - but not just any Full Moon - it is a Super Moon that is also known as a a full Harvest Moon. The Moon will be technically 99.9% full at 1:24 a.m. Eastern Daylight Time on the morning of September 9th. The moonrise over the Atlantic Ocean on Florida's east coast occurs around 7:18 p.m. EDT (with a few minutes deviation depending on your exact location) on Monday, September 8, 2014. 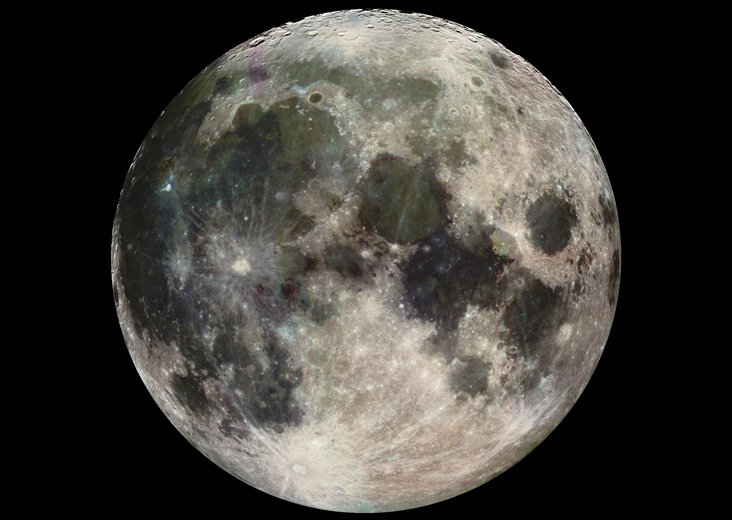 The full moon will set around 7:35 a.m. EDT on the morning of September 9, 2014. For those planning a stroll along the beach to watch the Super Moon, this Full Moon brings along with it a 4.5-foot plus high tide that will occur around 7:05 p.m. Eastern Daylight Time, with a few minutes of variation depending on your exact location. The Harvest Moon gets its name from agriculture. In the days before electric lights, farmers depended on bright moonlight to extend the workday beyond sunset. It was the only way they could gather their ripening crops in time for market. The full Moon closest to the autumnal equinox became "the Harvest Moon," and it was always a welcome sight. Usually, the Harvest Moon arrives a few days to weeks before or after the beginning of fall. This year, the Autumn Equinox and changing of the seasons will occur on September 23, 2014. Equinox means "equal night" in Latin, capturing the idea that daytime and nighttime are equal lengths everywhere on the planet. Naturally, many people think that with the changing of the seasons comes the changing of their clocks at the beginning of Fall 2014. But this is not the case. It is true however, that a helpful way to remember whether to set our clocks ahead or behind one hour during the daylight savings time is to "Fall Back" and "Spring Ahead." The beginning of Fall 2014 does not mean the end of 2014 Daylight Savings Time. Daylight Savings Time occurs after the 2014 Autumn Equinox and Harvest Moon when days become shorter and shorter heading closer to the Winter Solstice. What's so special about this September 2014 Super Moon? Low hanging moons near the horizon appear larger to humans. So the Super Moon will appear biggest to the naked eye on the U.S east coast during and just after the moonrise around 7:18 p.m. on September 8. If you live in a different time zones, the time would be the nearly same in your local time if you are on Daylight Savings Times - plus or minus a few minutes.